Dungeons Fantasy RPG for GURPS has arrived at the Attic! As long time readers of this blog know I been a fan of GURPS for thirty years. Believe it or not there was a time when GURPS was the fourth or fifth most popular RPG on the market back in 2004. 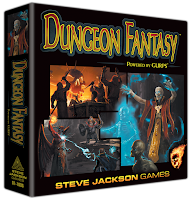 The Dungeon Fantasy RPG is designed to make it easy for people to get into playing and using GURPS for their campaigns. It does this by being presented as a traditional fantasy RPG. It tells you how to make characters, how to handle encounters and combat, gives you spells, monsters, and treasures to use. Plus there is an adventure included called I Smell a Rat! It not a new edition of GURPS. Everything here works with the core books as is. But gone are things not relevant to the Dungeon Fantasy genre. 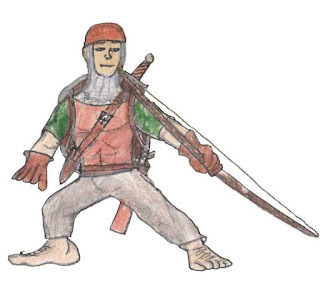 Added are things that are useful for fantasy campaigns with GURPS. For those of you who haven't heard Frank Mentzer is hard at work organizing things to publish material for the Empyrea setting that is part of Oerth the world where Greyhawk can be found. Mr. Mentzer is the primary author of the BECMI edition of Dungeon and Dragons as well the author of numerous other works for TSR and Dungeons and Dragons. Over on Tenkar's Tavern, Erik Tenker shares this interesting bit from a conversation he had with Frank Mentzer. A common characteristic of most Old-School sites is adherence to one specific point in the Past, generally out-of-print game systems. Very cool. Nothing wrong with that, most systems have value to many. But of all the tabletop RPG fans, the OSR buys the fewest New Products. This is fine I want to give things away... strongly preferred in these circles of course. Culturally the OSR is unique and priceless, and I applaud it. But they have chosen to be irrelevant to the current market. I am sure there are lot of people in this industry that would agree with Mr. Mentzer especially the last sentence. I am not one of them. Why? For several reasons. The first thing that people need to keep in mind about what the Old School Renaissance is the reason why it exists. It is the interaction of several things. First a continuing interest in the classic editions of Dungeons and Dragons from the 1974 Boxed set to the ADnD 2nd Edition. Second the ability to leverage open content to support these classic editions with new works that can be shared or sold commercially. Third, a radical reduction in the cost of creating, and distributing written works and graphics (like maps). These three facts are the foundation of everything that we see in the OSR today. Of the three it is the use of open content that caused the diversity of the OSR to explode. Once Matt Finch, Stuart Marshall, and Chris Gonnerman demonstrated how the d20 SRD could be used to create near clones of classic D&D in the form of OSRIC and Basic Fantasy. The gates were flung open for anybody to realize their particular vision of what classic DnD can be. Just as important this use of open content wasn't limited to specific editions of classic DnD. It also enabled the creation of hybrids or the adaptions of classic DnD mechanics to new genres. Freed from the artificial constraints on creativity imposed by intellectual property the use of open content flowered into full bloom in the publishing world of the OSR. 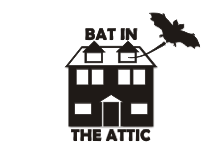 Resulting in the bewildering range of works we see being shared and published. What drives all this are the whims of the individuals involved. So in a sense Mr. Mentzer is right that there is a choice involved. A choice that for some doesn't take into account what is marketable but rather what one individual or a small group thinks ought to be published. And let the market be damned! But note my use of some, because it not true for all. Many OSR publishers, including myself do take a hard look at what we think people and the market want. People like Kevin Crawford, James Raggi, have put a lot of hours in publishing works that are not only have great content but a great presentation. And from conversations I had with both, they put considerable thought into how to make this happen. In short they each have a business plan for realizing their vision. And they both adjust things as circumstances change. There are others like Frog God Games, and Goodman Games. Some are individuals like my friend Tim Shorts at Gothridge Manor. Doesn't sound much different than what traditional publishers do. Keep in mind that the freedom of open content doesn't just mean that you get to realize your vision. It means that everybody gets to realize their vision. For some that means preservation. 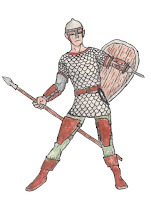 Places like Knights and Knaves, Aceaum, Piazza, Ruins of Mirkhill, ODnD Discussion Forum, and Dragonsfoot are devoted to preserving specific editions of classic DnD. And while some criticism of these sites have merit, the one I find unfair is that they are backwards or resistant to new things. It easy to make material for these groups. You just have to target the exact editions they are interested in. Not something close, not some hybrid, but the exact edition as close as you legally can with whatever quirks and nuances it possesses. And if you are not willing or unable to do that then they are not your audience. Last there been some recent drama associated with one of these sites in particular and Mr. Mentzer. It sad that it occurred but I am not interested in who is right or wrong. I will say that if you ever want to "win" an argument in the OSR the best reply is always to write your idea up, do the work to make it usable by others and release either to share or for sale. 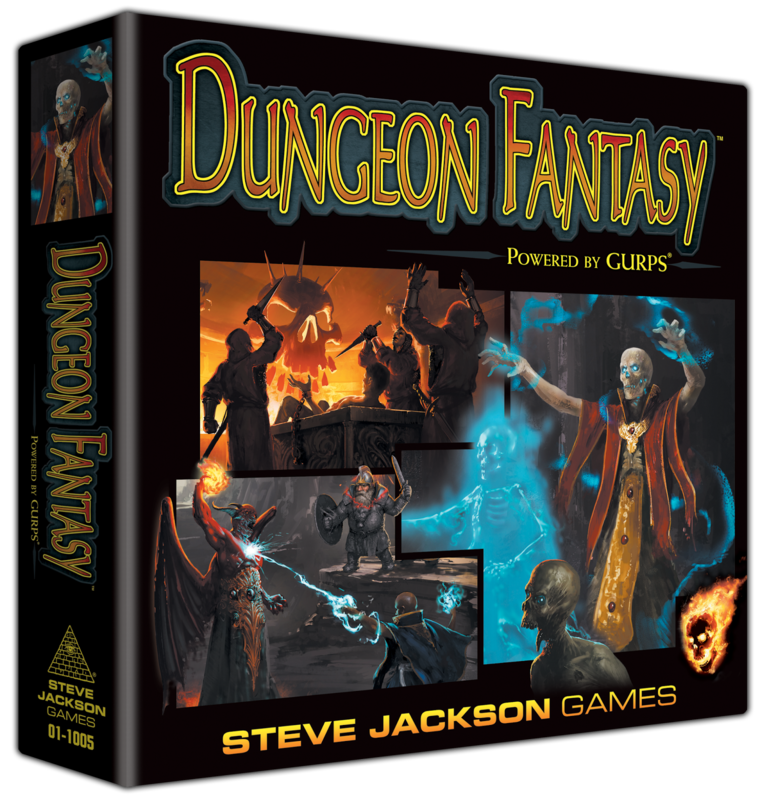 With the release of the Dungeon Fantasy RPG PDFs during Gencon to the backers of the DF RPG kickstarter, my Thursday night group really wants to give GURPS a try. So I agreed to do a campaign later this year. Most of the development of the Majestic Wilderlands was done using GURPS starting in 1987. So I accumulated a lot of notes about how the setting works using GURPS. Some of which you can see here. But since then I did a lot of work on the Swords and Wizardry version of the Majestic Wilderlands. As well as ran a memorable 5th edition campaign in the Majestic Wilderlands. So I am updating my material and the first thing I got done was the Races. You can download the races from here. Note that because GURPS doesn't have an open license I can't use the Open Game License. Steve Jackson does have a generous fan policy so I opted for a non-commercial Creative commons license for the text I wrote. For the details of various terms and abilities you will need to refer to the GURPS core books. Some of them can be found in the free GURPS Lite. Majestic Wilderlands Races for GURPS. There is a problem with GURPS Disadvantages and it is the same problem with DnD alignments. Either they are too static, a source of arguments about proper roleplaying or they are not much of a hindrance. I am sure folks are familiar with the first two but what is the third one about? Why it isn't hindrance to be honest or too have a code of honor? Well it is at first glance but then you realize that how you were going to play anyway. So in the end a 150 point campaign is really a 195 point campaign. But not all disadvantages are the same. Some have immediate consequences for how the character plays especially the physical ones. So what our group did over time was to stop counting most disadvantages. If you were bound and determined to play a one handed fighter than you could get the points for that as there were on-going game effects. But stuff like being poor or wealthy was discussed before the campaign started. And having a Code of honor was a written down as a note on the characters. Sometime Codes would factor in for specific aspects like clerical powers or paladins. But like when I ditched Alignment from then one, your character personality is however you played it. Technically it not even against RAW as it clearly states that the campaign can set the total number of starting points AND the total number point cost of disadvantages. We just opt to set it to zero with a few exceptions. So this brings me to the variant rule in the MW Races for GURPS. That is there is no cost charged for being of X race. Instead the traits of the race modify the base character attributes and the players proceed on from there. Like for my Majestic Wilderlands supplement, a Elf or a Reptile Man has superior traits compared to a human. The thing to remember is that I emphasize roleplaying and the Majestic Wilderlands is human dominated. So for the most part characters of other races are treated as outsiders even those that are considered friendly. And if the party happens to be dominated by non-humans then there iare plenty of adventures to be found in the surrounding non-human cultures. All this is not because I think the GURPS default is wrong, it just my changes reflect better how I present my setting as a living breathing world. If because of circumstance the player decides to act against type, I am cool with that if it make sense. I want to see that play out naturally and not have the player worry about the points on his character sheet. So this document includes the option to treat characters as a fundamental modification of the base attributes rather than something else to be bought. Harn is part of a larger world known as Kethira. The island of Harn lies off of the western shore of the continent of Lythia which is home to many cultures (mostly human dominated). Ivinia was the first of these to be develop back in the 80s. It is Harn's equivalent of Scandinavia and home to several viking kingdoms. Columbia Games re-edited, and re-formatted the original Ivina module and it has been released. Like most Harn product it is pricey but the quality is top notch. One big change is that each Ivinian realm now has a page devoted to it compared to the original. You can get it in Print or PDF.